In today’s world, privacy is a rare and valuable commodity. Everybody seems to be deeply immersed in everyone else’s business at all times, but you don’t need to let this seep into your cherished vaping. Despite the undeniable fact that most people simply won’t appreciate nor understand your vaping lifestyle, there are ways to find respite from judgment and criticism by exercising some prudent discretion. Welcome to the wonderful world of discreet vaporizers. No matter where you are, there is no reason you can’t grab a few puffs of luscious vapor without alerting those around you. While there are plenty of tried-and-true tactics that will give you the freedom to vape throughout the day unobstructed, such as prepacking your vape, utilizing smell-proof containers and spraying deodorizers, the most important strategy in your mission of secret vaping is to use a discreet portable vaporizer. Most portable vaporizers are fairly unique looking and, despite being innocuous in every sense, may draw undesired attention. Thankfully, there are cleverly designed options out there that allow you to vape your herb without anyone being the wiser. There are plenty of discreet portable vaporizers that masquerade as everyday innocent items without alerting anyone to their tailored vaporizing function. Here are three of the best ones available right now. Drive a car? Then you have a perfect excuse to carry the Micro Vaped FOB Vaporizer. 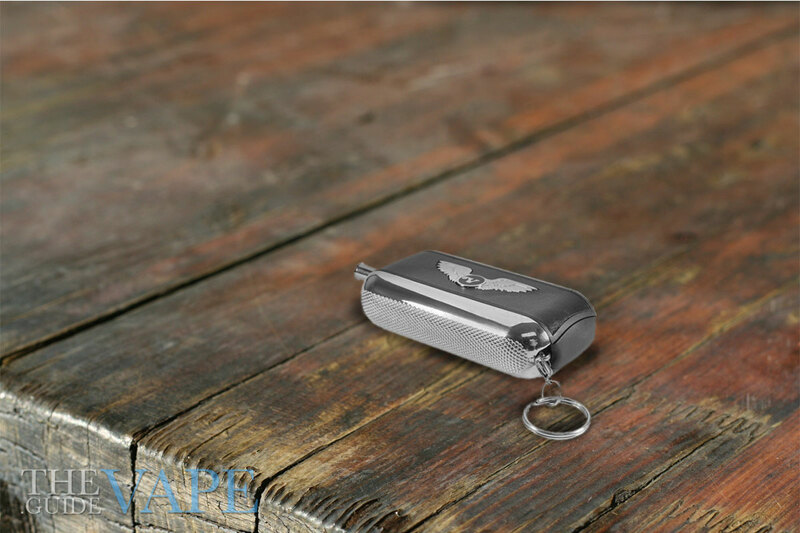 This petite and powerful portable vaporizer is astutely crafted to mimic a traditional set of fob car keys, even showcasing working lock, unlock, and trunk open buttons. Taking only 30 seconds to heat-up and packing six distinct heat settings, the Micro Vaped FOB Vaporizer is the perfect portable vaporizer to hit when around town. With a full charge you can enjoy about ten tasty vaping sessions. The only problem you may have is differentiating between the Micro Vaped FOB Vaporizer and your real car keys, but that’s a good problem to have. In the hustle and bustle of the average day-to-day, there are few things less banal than someone sipping from a travel mug. The dynamic Vapor Cup Vaporizer is an ultra-capable portable vaporizer veiled as an ordinary drinking cup with a straw. The Vapor Cup Vaporizer is on the larger side, but just as subtle as anything smaller. The benefit of it being slightly bigger is that it boasts a digital display with impeccable temperature control, allowing the vaporizer to be set to precise heating settings suited for individuals who want to vape their herb with particularity in taste. Additionally, the Vapor Cup Vaporizer will last for an impressive two hours on a complete charge for reliable vaping as need arise. Looking for something a little more compact? 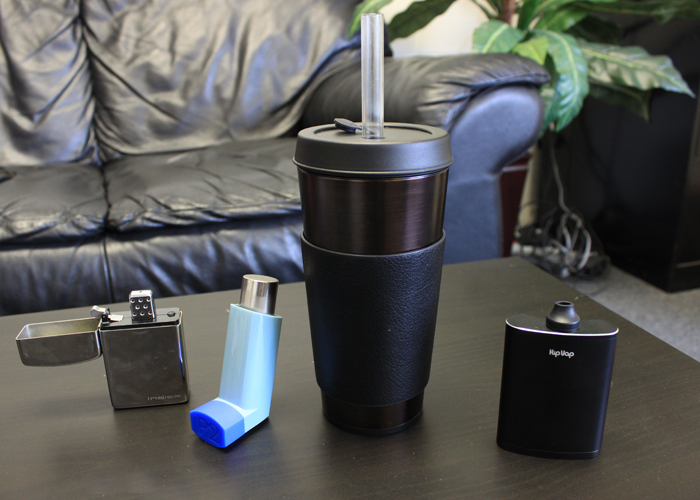 A fantastic, covert portable vaporizer is the PUFFiT Vaporizer. Constructed to mimic a medical inhaler for asthma suffers, no one would dare assume you’re inhaling delectable vapor and not treating a nasty cough. The PUFFiT Vaporizer is a stealthy tool when looking to vape your herb with easy and effective subtlety. Even better, the PUFFiT Vaporizer is capable of vaporizing wax concentrates as well; giving you no excuse to not indulge whichever form of herb you please in a non-obvious manner. Portable vaporizers provide an unparalleled alternative to stinky combustion smoking on-the-go, allowing users to relish in their vaping way of life without the peering eyes of the less inclined. Whether you’re looking to avoid scrutiny or naturally desire rightful privacy, there are portable vaporizers at your disposal to make it all possible.